If you want a career as a successful chef, take a look at our 7 tips that will help you drive your career forward. 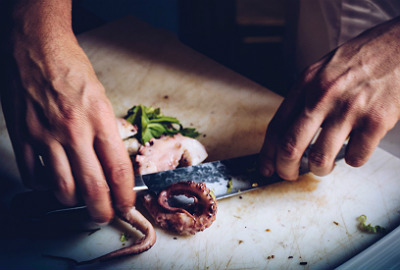 When applying for jobs, whether you’re a Chef de Partie or an Executive Chef, don’t fill your CV with pointless information about your hobbies and achievements out of work. Of course, it is good to employ well rounded people but if the restaurant or hotel want to know about these things they will ask about them at the interview. On your CV, you need to show them about what you can do in the workplace, why YOU are the solution for their recruitment need. If you have chosen to be a chef solely for the money, then you are in for a tough and disappointing career. To have a successful career as chef, it has to be about more than the money because if it isn’t you simply won’t last. Being a chef often involves long hours and hard work so you need to be passionate about cooking and driven to be the best chef you can be to make a successful career. As a chef, you can have all the talent in the world but the harsh reality is that if this doesn’t come with a great attitude and work ethic then you’ll find life tough as a chef. A kitchen is a team environment which means you have to put your all in. If you don’t, you’ll never make the cut as the best chefs will always take a less knowledgeable cook with a great attitude and work ethic over a talented prodigy with poor attitude any day of the week. There’s a tendency amongst some people who enter the industry to want to run before they can walk. Ask any good chef and they will all tell you the importance of knowing the basics. Ensure you do and you then have a strong foundation from which to build your career on. Another thing that every successful chef will tell you is that they never stop learning. Whether you are at the very start of your career or at the top of your game, you should never be above learning from anyone. You can never stop learning and you can learn from everyone around you, from the kitchen assistant to the head chef. There is no doubt that the ‘celebrity chef’ has helped popularise the job of chef as a career. That’s not a particularly bad thing but you know what all of the top celebrity chefs have in common? Cooking is in their blood, it’s what they live for. They’ve done the hard work, they’ve worked long hours in the kitchen and done so with a passion. In order to make it in this industry you need to LOVE to cook — period. It just won’t work otherwise. It most certainly isn’t a fast track to fame and fortune. If you really want to go on to become a renowned chef and really make your mark, the most important thing is to develop your style. Of course, be inspired by other chefs and how they cook but begin to find your own inspiration and gradually develop a signature style that is ‘you’. Be authentic and let your personality shine through your food and hopefully this should be recognised.